This Easter can be the best ever by visiting Disneyland, California as a real treat for the whole family. 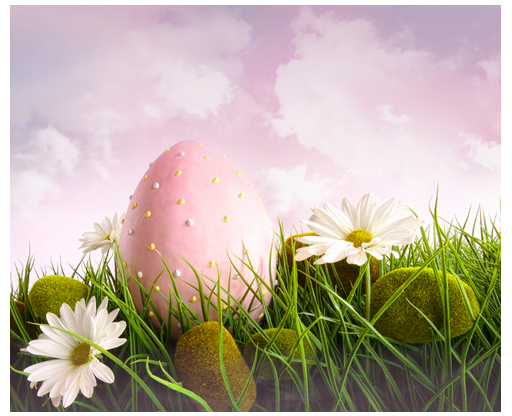 Easter fantasy image, feel free to Pin it. Disneyland is truly the best travel destination this Easter for lots of reasons. Opening over fifty years ago in 1955, millions of people have visited and found it to be the trip of a lifetime. It’s a magical place where fantasies come to life and children young and old enjoy the enchantment of a fairyland. There are all kinds of treats to experience with a visit to this wonderland. Beautiful horses pulling old-fashioned carriages transport park visitors to times gone by. Meanwhile, the future is just a step away with train rides and space trips. Adventure abounds with jungle hikes and ocean dives, and imagination is always growing at Disney, where princesses and characters make dreams come to life. There are eight lands to explore in Disney: Adventureland, Mickey’s Toontown, Critter Country, Fantasyland, Main Street, U.S.A., New Orleans Square, Tomorrowland, and Frontierland. Toontown has lots of attractions for the little ones and opportunities to meet some favorite cartoon characters including the lovable Goofy. Tomorrowland has something for everyone with features that include the futuristic fun of Space Mountain, Star Tours, and the Jedi Training Academy. See aliens and fly through space for loads of fun. Next, get spooked in the Haunted Mansion or sail with the Pirates of the Caribbean on a boat ride in New Orleans Square. Jazz music sets the tone and the style will keep visitors busy with enjoyment for hours. Fantasyland is an all-time favorite area to visit as beloved story characters come to life before everyone’s eyes. There are fantastic theater shows and a great hall where little girls can meet the princesses they love. Young knights can enjoy their time as well, and even go home with their very own sword and shield. Ride on over to Critter Country, which was known as Bear Country until 1988. It’s a nice relaxing place for the family to have some peaceful quiet time. Featuring a real canoe ride, Winnie the Pooh, and Splash Mountain, people of all ages will enjoy this part of Disneyland. Next stop: Frontierland. Go back in time to the Old West and enjoy a relaxing boat ride, a thrilling runaway train experience, or an Old West stage show in this enjoyable slice of fun. Main Street, U.S.A. is the “Happiest Place On Earth” for a reason. It will transport every visitor back in the time of the 1900s with the famous Disney Railroad, horse-drawn carriages, an omnibus, and the nostalgic “The Disney Story.” Last but not least is the thrilling Adventureland, with a jungle riverboat ride, Tarzan’s Treehouse, and the Enchanted Tiki Room. Adventure awaits the whole family in this exciting place. There are tours for kids, tours for adults, and tours for teens, including Discovering the Magic, Disney’s Happiest Haunts, and Walk in Walt’s Disneyland Footsteps. Fun-filled events at Halloween, Mardi Gras, and other holidays are a blast for the whole family. There are all kinds of fun places to eat that go along with the great Disneyland theme, such as Daisy’s Diner, Pluto’s Doghouse, and Red Rockett’s Pizza Port. With so many things to see, hear, and experience in Disneyland, California, planning a trip to this magical place for Easter is the greatest travel gift or everyone in the family, no matter what their age or interests. There are all kinds of attractions, entertainment, events, tours, and fine dining to make it a trip that will bring lasting memories to everyone.